Check out how Inventory Manager has helped other satisfied customers! Has Inventory Manager helped your business? Let us know! 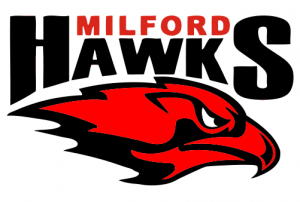 In addition to being the director of the Practical Arts/Technology Department at Milford High School, I teach over one-hundred and forty students a day. Being a photo teacher, cameras are the textbooks of my class, and therefore need to be lent out and tracked. My cameras change hands every day. Thanks to Inventory Manager, tracking cameras has become a breeze! After an easy purchase, I was able to keep track of thousands of dollars of inventory. Not only does this save my department money, it saves the school and the taxpayers money. The money that used to be spent on lost cameras can now be used to buy software and other essential items. I will certainly recommend it to anyone who wants to keep track of valuable assets. I cannot imagine how I survived without it! Tim is always very quick and responsive to any questions or needs I have! I recently had major problems with multiples harddrives and was un-able to get my inventory Manager working. Within a half hour Tim had me up and running and offered other valuable advice to protect me in the future. For years I was looking for a simple inventory software…which this definitely is. But the real value is the support you get with the purchase. We can’t imagine how our inventory would be if it wasn’t for Inventory Manager. It is great software, easy to use and great customer service. We are very satisfied with the product and the service! I will recommend it to everybody! This is actually the best straightforward software to give to end users who have to do inventory or monitor check in/out of equipment that I’ve come across — lightweight and simple interface. We needed a light weight, user friendly and affordable software that allowed us to efficiently keep track of our mobile devices. After testing several solutions, we decided to use a custom implementation of Inventory Manager. Not only has the software surpassed our expectations, but the customer service has proven this is by far the best choice we could’ve made. Thank You so much. Your software is by far the closest thing to my “idea” I’ve seen yet and you can’t beat your price and support off with a ten foot stick! The support you have provided for your software has been amazing, you took time late at night to help me every step of the way. That in my eyes is what makes software stand out and worth the investment. We will be looking at getting custom build soon. Hugo P. -Directbuy Toronto N.A. “With Inventory Manager we reorganized our entire stock room, this saves us time and we all know that time is money! We even have our own custom build with email warning us that stock is getting low. The software is simple and so easy to use even my 6 year old could use it. I didn’t find everything I needed with other major brands of software but with Inventory Manager I got everything I was looking for and even more!! Willie H. -Systems Analyst for local government.